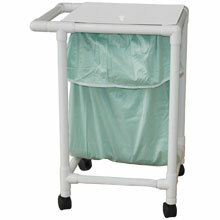 These Leak Proof Hospital Hampers are constructed from 7/8" tubular steel with a sturdy chrome finish or 1 1/4" Healthcare Grade PVC Pipes & Fittings. All units ship knocked-down for an outstanding freight value. 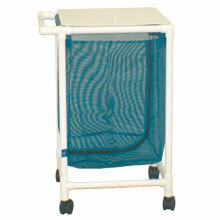 R&B Wire's LEAKPROOF SYSTEM includes removable LEAK-PROOF BAGS that are completely washable.